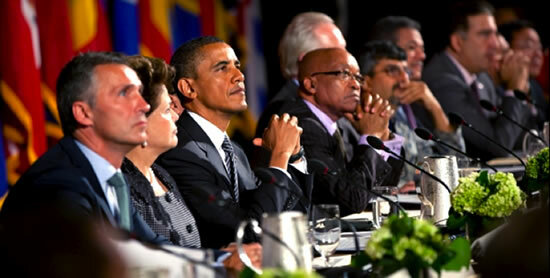 (Rakesh Rajani, 26th September 2012 – OGP 1st Anniversary – An open government takes humility). This post sets out what open government is and why it matters, explains the relevance of open government to the post-2015 development framework, and poses some questions about whether and how the principles of open government might feature in the post-2015 development framework. Timed to coincide with the meeting in London of the UN High Level Panel on the post-2015 development framework it makes the case that that framework must, if it is to put people first, have transparency, participation and accountability at its heart. What is Open Government and Why Does it Matter? Open Government is about governments working with citizens to better meet people’s needs. The Open Government Partnership – the clearest expression of Open Government on a global scale – is a multilateral initiative which brings together governments and civil society to make governments and governance better. Launched in 2011 – with this amazing video – it aims to secure concrete commitments from governments to promote transparency, empower citizens, fight corruption and harness new technologies to strengthen governance. Open government is built on three key principles. First, transparency; that information about policy processes should be available to the public. Second, participation; that the public, empowered with information, should be able to engage in policy processes. And third, accountability; that the public should not only be able to participate in policy processes, but should also be able to hold governments and other decision-makers to account. (see the Open Government Standards initiative for more info). In little over a year, 57 countries from all around the world, north and south, east and west, have signed up to the OGP, demonstrating that open government – and the principles that lie behind it – is seen as something that can help all sorts of countries to address the challenges that they face. No matter what the country, the key to success – to fighting poverty, to achieving prosperity, and to realizing human dignity and freedom – is to be open to improvement, and, to use information to make those improvements. Why do the Principles of Open Government Matter for the Post-2015 Development Framework? The Millennium Development Goals (MDGs) have contributed to amazing progress in the fight against global poverty. But the existing MDGs – as with any institution – have significant room for improvement. Perhaps their major weakness has been that information about what resources governments have spent in pursuit of the goals, and about what results have been delivered, has been patchy and slow to be reported. For instance, when the International Budget Partnership asked 80 countries for basic information on spending on a number of key international development commitments – on maternal mortality, on aid flows, and on environmental issues – only one country, New Zealand, was able to provide the answers (see internationalbudget.org here for more info). The poverty of information about the MDGs – and the lack of citizen input into their design – has contributed to limited citizen engagement, limited accountability and few opportunities for continuous learning and course correction. This needs to change. As Francis Maude, the Cabinet Minister heading up the Open Government Partnership for the UK puts it: Information is the raw material of the 21st Century. With citizens increasingly able to access, use, combine and share information, using new technologies, the possibilities for real-time monitoring, participation, feedback, accountability and learning are huge. By harnessing the power of information, promoting participation, and enabling accountability, the post-2015 development framework can contribute to a dramatic acceleration in the rate of progress against poverty and towards prosperity. How Might the Principles of Open Government Feature in the Post-2015 Development Framework? Open government – transparency, participation and accountability – might feature in the post-2015 development framework in a number of ways. First, in terms of the process of designing the post-2015 development framework, where the views of citizens from around the world – what the world wants – could and should take center-stage as part of an open process. Second, in terms of the content of the post-2015 development framework, with access to comparable and combinable information, the basis for effective participation and accountability, a central feature of open goals. Third, in terms of the implementation of the framework, with information about investments in, and progress towards, reaching the goals readily available so that citizens can exercise open accountability. In thinking about how aspects of open government might best feature in the post-2015 development framework, there are perhaps two key questions to consider. First, whether the focus should be on information/transparency, or the principles of open government, or the tricky terrain of “Good Governance” with its normative agenda and patchy evidence base. Second, whether any principles that might feature – about information, or open government, or governance – should feature as principles underlying each sectoral goal, and/or as a stand-alone goal. As keen supporters of the Open Government Partnership and proponents of transparency, participation and accountability, we at ONE have our views; access to information – including information about spending and progress towards meeting the goals – must be at the heart of the post-2015 development framework, with attention given also to the capacity of citizens and accountability institutions to use that information to hold governments to account. But, we aspire to be open; let us know what you think in the comments!